Continuing education, otherwise known as "CE," is a constant in any profession. School does not end with graduation. A dentist must constantly keep up with not only the newest techniques and materials, but also re-learn what has since been forgotten. In my state we must complete at least 20 hours of CE every year just to keep our license. This is actually quite a low number, as many I know have many more hours than that. Continuing education, and the associated credits, is usually be obtained by attending lectures, courses, local meetings, national conferences, and hands-on classes. Online courses are also useful and becoming more common. Back in the old days physicians and dentists would learn by didactic or "book learning" but also by observing procedures and surgeries. Anesthesia using ether for surgery was first demonstrated in the "Ether Dome" at Massachusetts General Hospital in Boston. 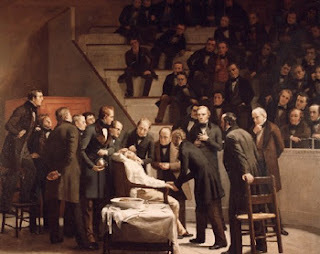 You can see this lecture hall/operating room still today. I visited this historic place several years ago. The benches are quite steep so "students" could observe the activities below. So, learning is a continuous process. 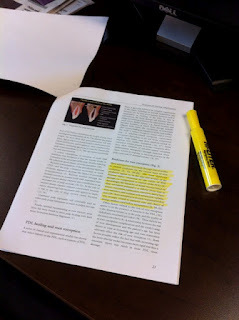 Your dentist probably is spending more hours in lectures on weekends and evenings than you know. This is why we call it dental practice. We are always practicing and learning.